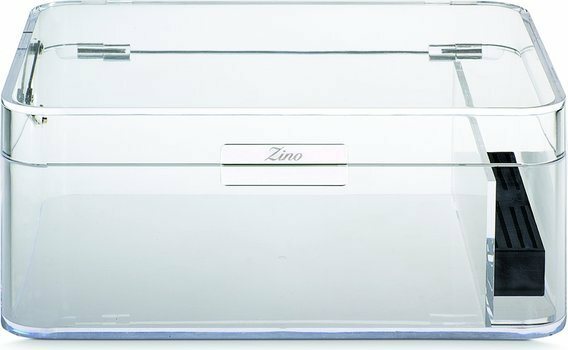 This new, high-quality Zino acrylic Humidor is manufactured in France. The elegant and trendy humidor is equipped with one humidifier, separated by a partition wall so the perfect humidification of your cigars is guaranteed. The novel, unusual magnetic lock with Zino logo completes the stylish design. The capacity is, depending on the format and size, 40-60 cigars. Top quality, a bit expensive. You pay for the brand.